Tanzania’s opposition coalition has named former Prime Minister and ruling party member Edward Lowassa as their joint presidential candidate. Last month, Lowassa was seen as a potential candidate for ruling party Chama Cha Mapinduzi (CCM,) however he was not shortlisted and CCM instead named Minister of Works John Magufuli as their candidate. On Tuesday, UKAWA, the coalition of four opposition parties, named him as their candidate. 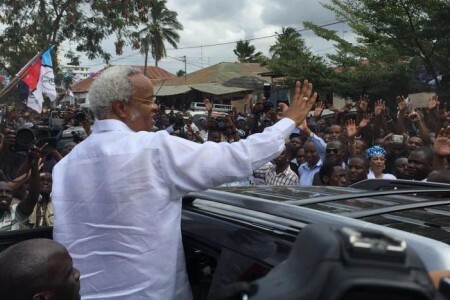 “I have come to join you for a reason, to remove CCM from power,” says Lowassa, who was Prime Minister between 2005 and 2008. He resigned as Prime Minister amid the Richmond scandal, which saw hefty payments made to a US firm despite products not being delivered. Lowassa has denied any involvement in the corruption. Lowassa had been on CHADEMA’s blacklist of corrupt leaders, which now concedes none of the corruption allegations have been proven. On Zanzibar, UKAWA has named First Vice President Seif Sharif Hamad as their candidate. CCM has ruled Tanzania for over 50 years. The election is to be held on October 25, 2015. Election: what are the talking points?